So, last night, in case you missed it, happiness died. Jeri-KO broke up in the most heartbreaking way possible. You can watch it in the video above. And because he just can't help himself and everything has to be about him, Goldberg just had to weigh in. At least, we're assuming that's what it was in reference to. He might have been watching "Dumb & Dumber" with his weird shirtless son. Now maybe he was still upset with how his relationship ended so publicly, and maybe he was just lashing out, but Kevin Owens definitely thought it was about him. It's true, you know. Goldberg did do that. You start stuff, Bill. Kevin will finish it. And that would have been it, but Goldberg had to try to get in the last word.
.@FightOwensFight Take lots of pictures with it Kevin. Remember the moment. At Fastlane, it's GONE. You should know, though, Bill. Kevin is the king of clowning fools on Twitter, and when you come at the king, you best not miss. And again, that would have been it, but then Goldberg had to go all creepy on us.
.@FightOwensFight Well... If "Goldberg" or "Sir" doesn't work for you, than yes, Daddy is fine. If you're smart, Bill, you'll just take the L on this one. What am I saying? You're not smart at all. 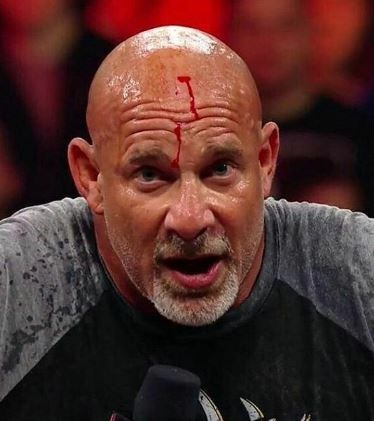 Stay tuned for updates in this Twitter feud because Bill Goldberg can't leave well enough alone.